These mood lifting bliss balls are one of my favourite snacks. They are healthy, easy to make, refined sugar free and so yummie. Within 15 minutes you have good looking and tasty snack, so if you quick have to arrange something for you visitors those bliss balls are a great option. The fun thing with those little snacks is that you can add what you want, the variations are endless. So just look what you have in stock and make you own creation. I used a really simple recipe. The dates and the nuts are the main ingredients. You can replace the cashewnuts for other nuts like for example walnuts, almonds, pistache nuts, sunflower seeds. You can also add other ingredients like raisins, goiji berries, chocolate nibs. If you prefer a different taste than use other essential oils like grapefruit, peppermint or on guard (protective blend). 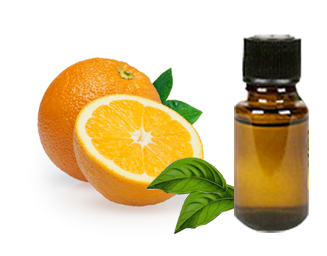 In this recipe I used the Wild Orange essential oil. Besides that this oil just smells and taste delicious it also have plenty of health benefits. Make sure that when you use an essential oil in your food that it is 100% pure, so that you are sure it is safe to take it internally. Dates contain natural sugars and are an energy booster. Therefore these bliss balls are great when you need some energy during sports or as an afternoon snack. The natural sugars are way more healthy than the refined sugars, though you should not eat them unlimited, since our bodíes don’t need tons of sugar after all. Dates do also have a lot of health benefits, which makes them a good choice. They contain a bunch of vitamines which will support you nervous system in order to function properly. The pottassium, one of the main ingredients, increases allertness and keeps you focus, so it is great to have a bliss ball before an exam. 1. Remove the pits from the dates. 2. Chop the nuts in a food processor, when they are fine start the add the dates and the oil until you get a kind of dough ball. If it is not sticky enough add more dates, if it is too sticky add more nuts. 3. Roll the mix into small balls and dip them in shredded coconut to decorate them. Please share your favourite recipe in a comment or on the Facebook page.